Julie wanted eternal reincarnation; she wanted to experience all kinds of existences, and from time to time enjoy a luxurious and beautiful life. 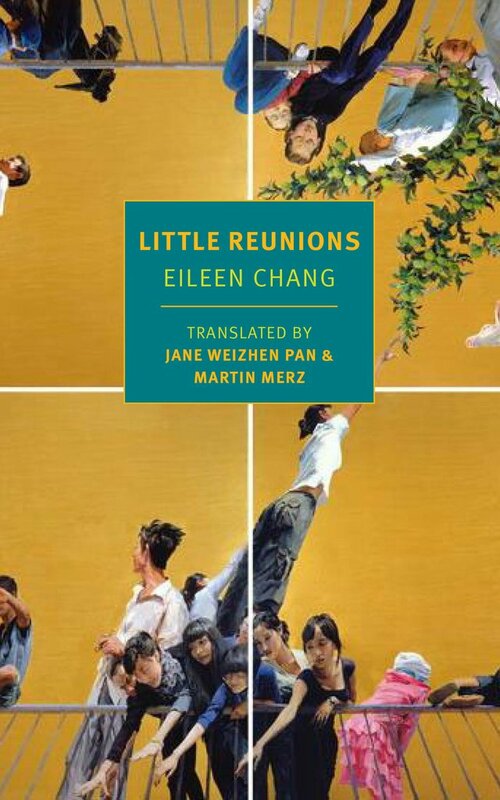 Here's a book I didn't much care for: Little Reunions, by Eileen Chang. I'd been trying to read this since March, and kept failing to find the right headspace for it. But now it's done. It bored me. Too many characters I didn't care anything about — I had trouble keeping them straight. And I could never quite figure out the tone with which to read it. Is it funny or melancholic? Is the awkwardness in the translation (from Chinese) or in the characters, or is it a function of being a world completely foreign to me. Julie, however, devoted little time to revisiting the past and so such thoughts about her family were fleeting. Memories, happy or not, always embodied a doleful note, which, no matter how faint, Julie felt a strong aversion to. She never sought out melancholy, but life unavoidably overflowed with it. Just thinking along these lines made her feel liked she was standing in the portal of an ancient edifice, peering through the moonlight and dark shadows that permeated the ruins of a once noble and illustrious household, which was now nothing more that scattered shards of roof tiles and piles of rubble from collapsed walls. That instant of knowing what once existed there. The first half of the book deals with Julie's upbringing and extended family. There's a complicated family hierarchy of wives and concubines that's tricky to navigate. There are secrets and scandals — many of them not so secret at all. But for the most part, these secrets are only obliquely referenced. It's not until the second half of the novel that Julie falls in love (kind of) and gets married (kind of). I had to read between the lines not only to figure out what Julie felt, but also to piece together what actually happened. At one point, in a seemingly complete disconnect, the story jumps for a few pages to New York City a decade into the future, Julie bathing while waiting for the abortionist. "Hey! What are you doing?" she asked, terrified. His hair brushed against her thigh — the head of a wild beast. The beast sips at the eternal springs of a dark cavern in the netherworld, slurping with his curled tongue. She is a bat hanging upside down at the mouth of a cave. Like a hermit hidden withing the bowels of the mountain being explored, encroached upon, she felt helpless and hopeless. Now the small beast sips at her innermost core, small mouthfuls one at a time. The terror of exposing herself mingled with a burning desire: She wants him back, now! Back to her arms, back to where she can see him. This is such a strange metaphorical paragraph that is completely out of keeping with the rest of the text. But! "The terror of exposing herself" — how telling is that?! Maybe that's the thing, and the source of awkwardness, the terror of exposing oneself. Clearly Julie is brimming with feelings, with regard to her mother, her aunt, her husband, as well as lesser characters like her father and her brother, but is never given rein to express them. So, as with many "young socialite"-type stories, it moves from comedy to tragedy in a flip of the hair. The endless network of cousins and concubines is less a loving family than a complicated business concern filled with unpaid accounts and threatened lawsuits. Indeed, this is a novel about the varied independence of three women, and all the contingent thrills, sacrifices, and dangers of trying to live a life beyond a culture of submission. 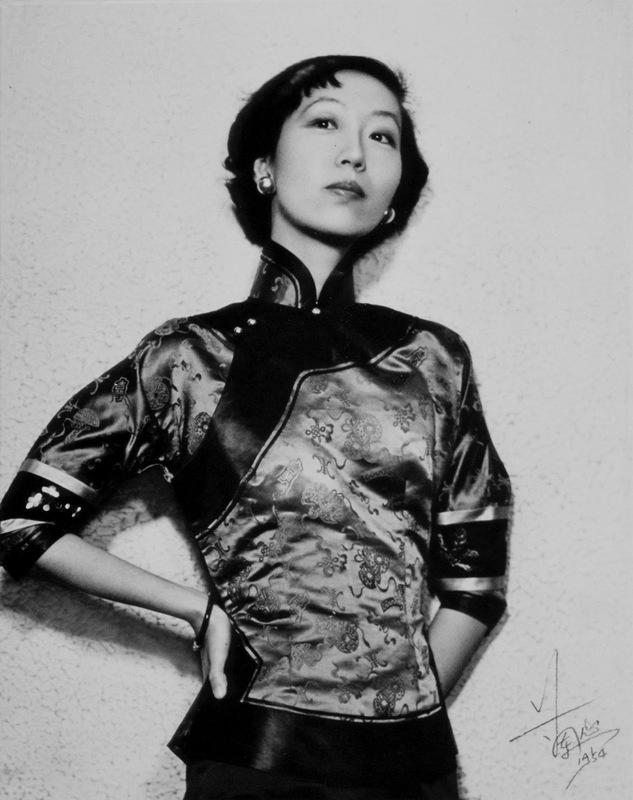 Chang, through her writing, was teaching me how to be seen in a large urban center, instructing me in the ways a person can come to be viewed among many, and how one’s individualism allows that person to become a part of the vast world around her. 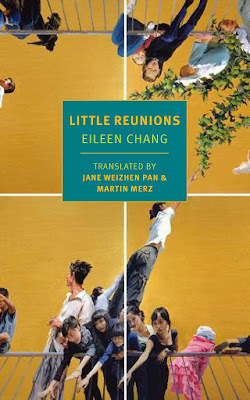 Chang's equitable worldview, made possible by her bicultural background, does much to explain why Little Reunions sold so well when it appeared in 2009. Many middle-class Chinese readers, wealthier and better-informed than their predecessors but feeling morally adrift, hoped for a vision of enlightened forgiveness and dignified equality with the West. Such a prospect was a bracing alternative to the draining tantrums about national humiliation and payback that suffused the Internet and continued to appear in state-approved books like Unhappy China, another best seller in 2009.